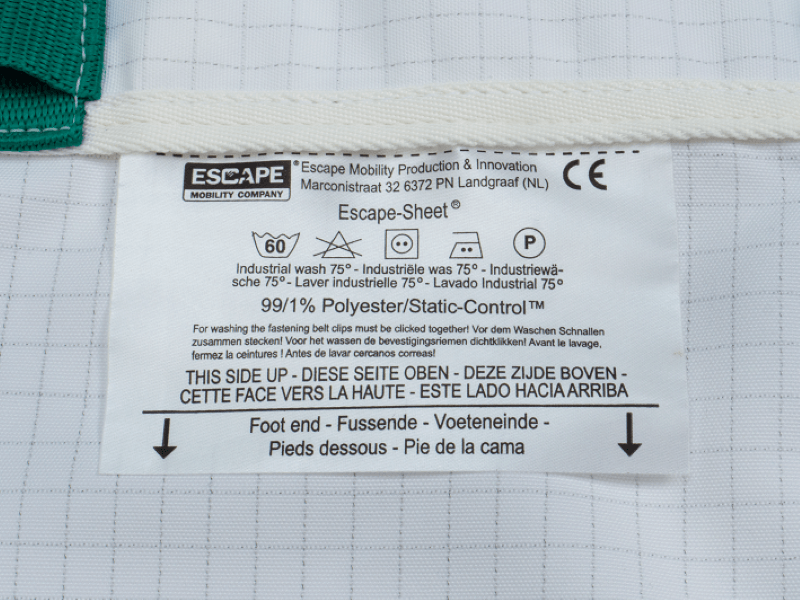 The Escape-Sheet® is positioned permanently between the mattress and the bed frame. 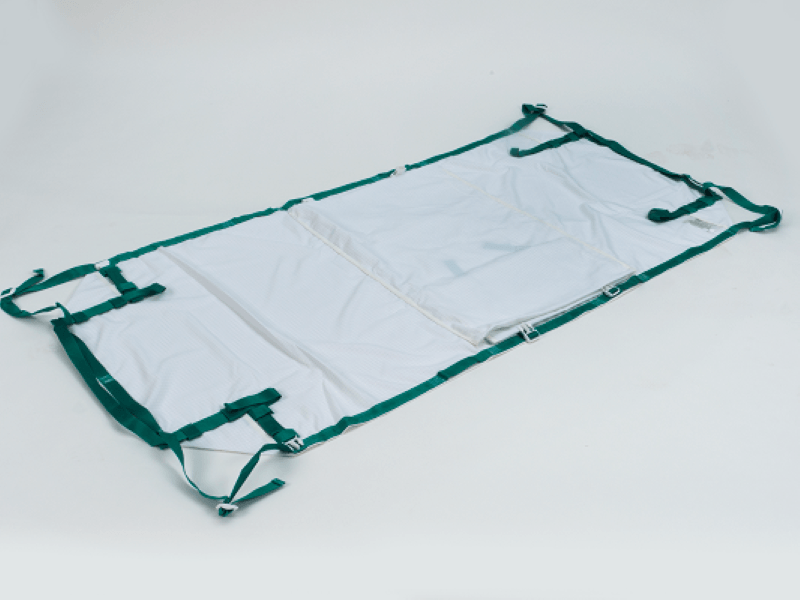 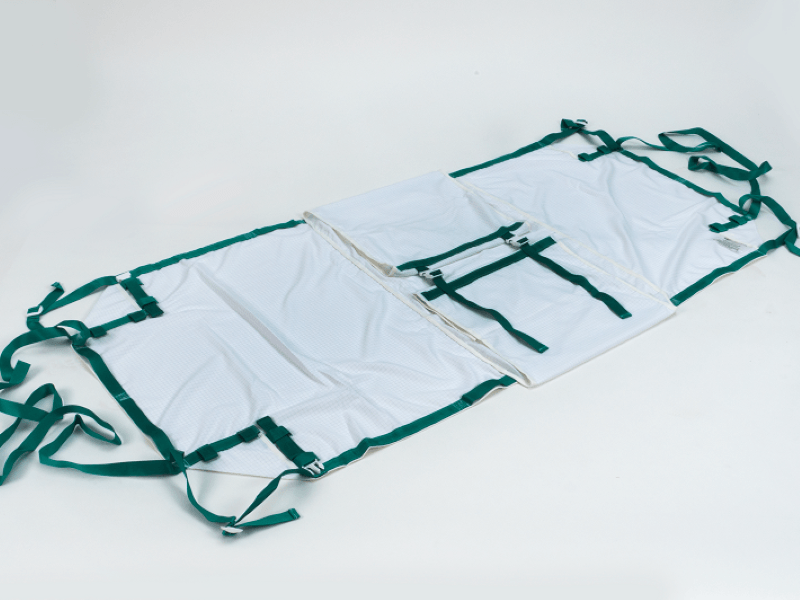 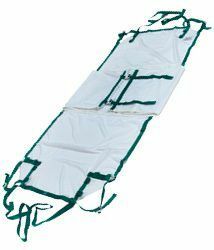 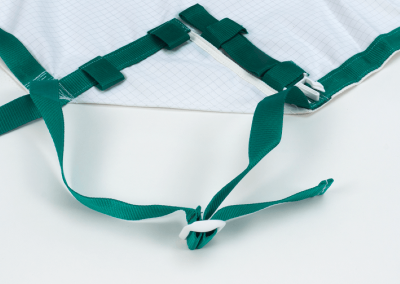 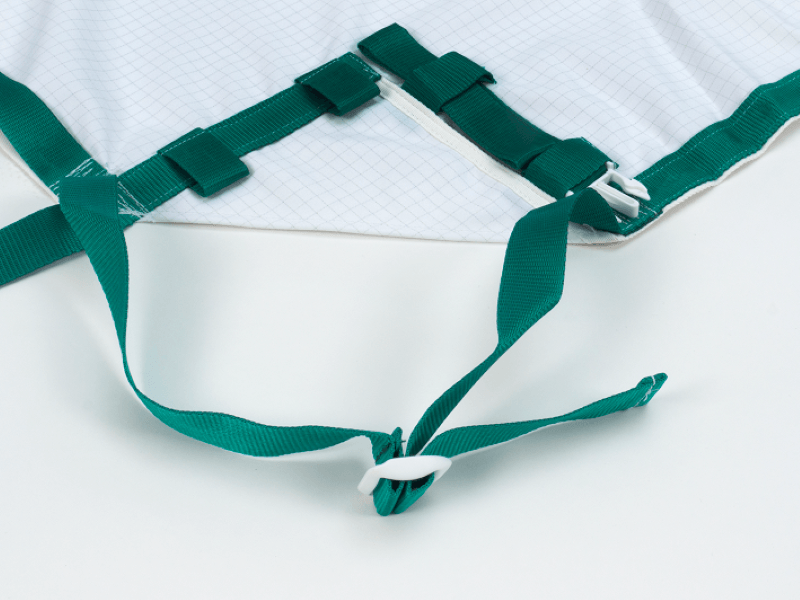 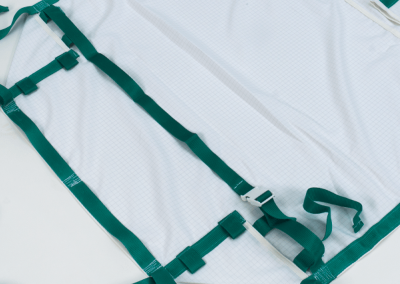 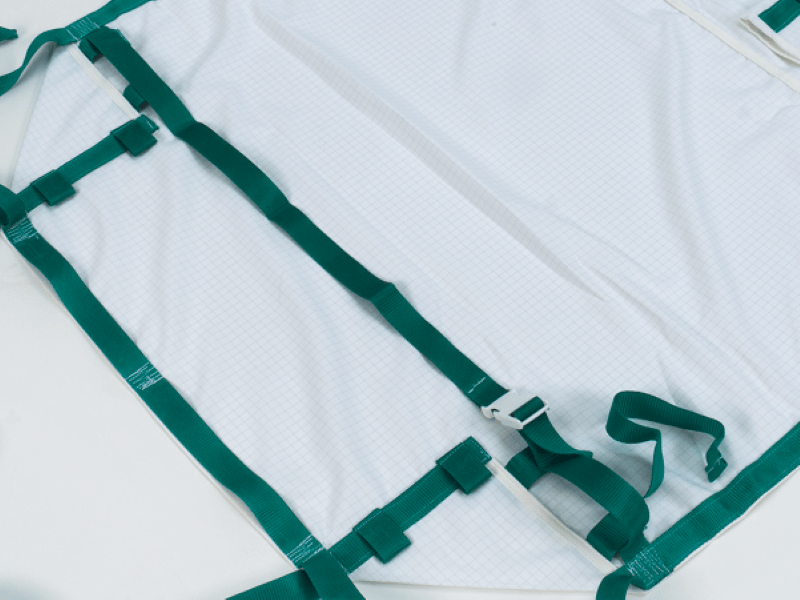 In the event of an emergency, the safety straps of the Escape-Sheet® are secured over the mattress and the patient. 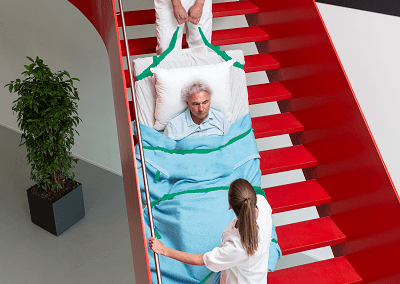 The patient is immobilised safely for transporting down the stairs. 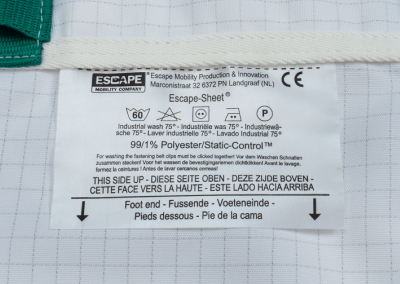 The Escape-Sheet® is used frequently in hospitals and nursing homes. 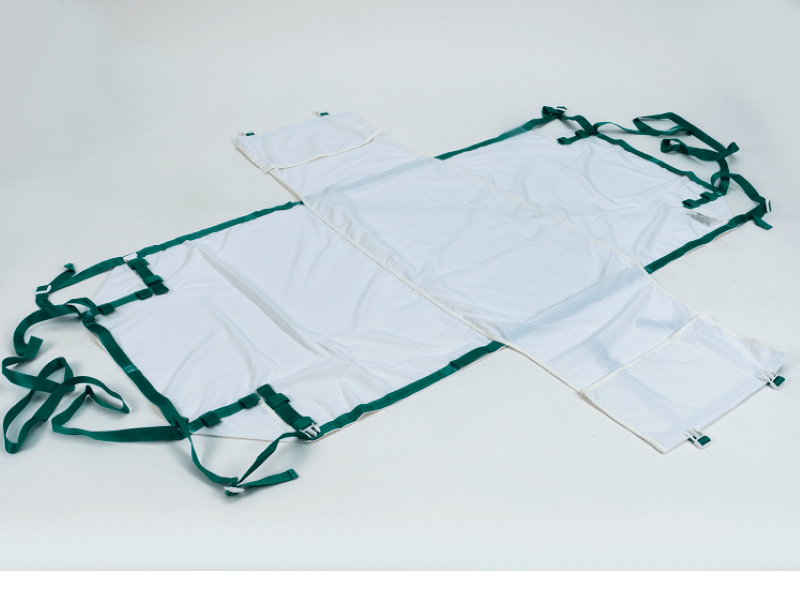 Escape-Sheet® is widely used by hospitals and healthcare facilities. 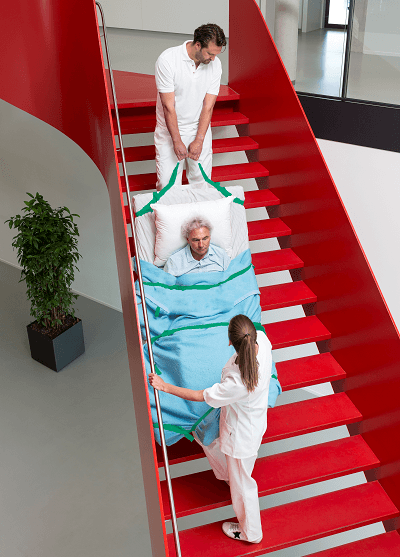 Assists in moving a patient to a place of safety. 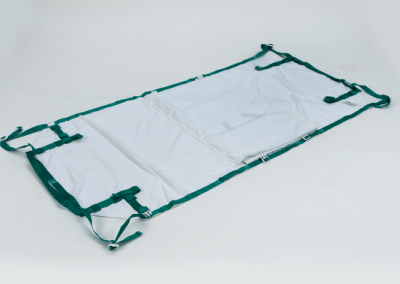 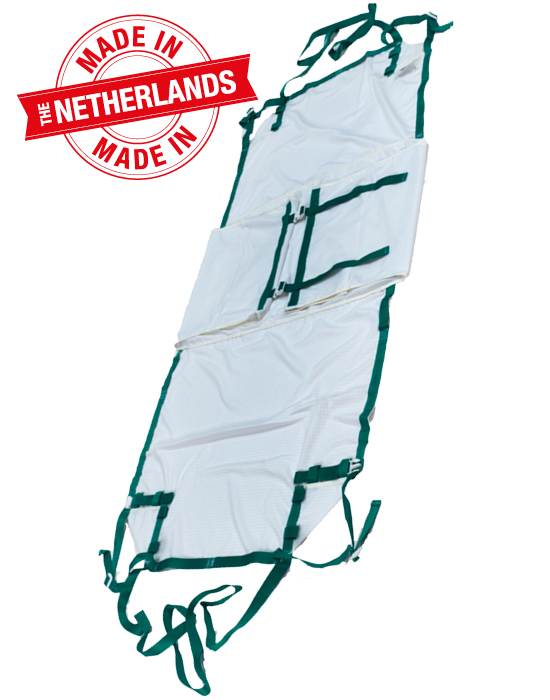 A mattress with an Escape-Sheet® Standard underneath can be transformed very quickly into an evacuation mattress. 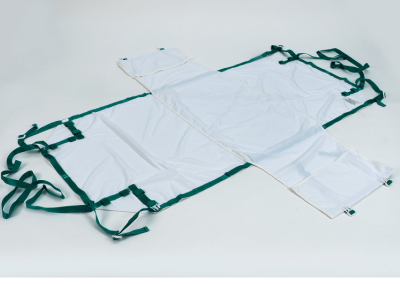 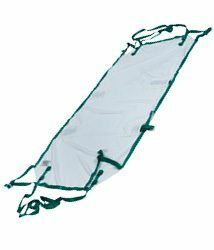 This evacuation sheet transforms a ‘regular’ mattress into an evacuation mattress, with body-covers and an extra strap at the foot end.